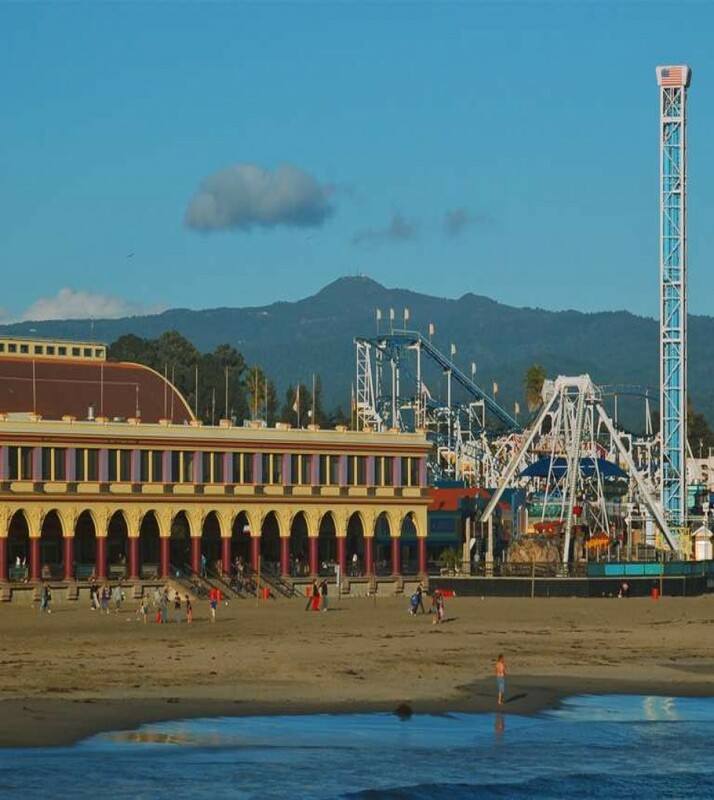 Santa Cruz is home to world-class dining, iconic amusement parks, and breathtaking ocean scapes. Adventure awaits with 29-miles of coastline. Guests can enjoy an opportunity to explore marine life up close with a guided kayak tour or spend the day on the Wharf or at the Beach Boardwalk. The Natural History Museum and Surfing Museum offer visitors a deeper understanding of the area. A short drive from the hotel guests will find attractions like the Natural Bridges State Beach and the Mystery Spot. Other nearby points of interest include the Pacific Garden Mall, the Landmark Nickelodeon Theater, the McPherson Center, as well as the Museum of Art and History, and the Mark Abbott Memorial Lighthouse. The charming area of nearby Downtown Santa Cruz offers guests specialty shops like the Bookshop Santa Cruz which regularly hosts authors, and live music events and the Vino Prima Wine Bar is a local favorite. Other hotspots for live music are Moe’s Alley which hosts Jazz artists, The Crepe Place which regularly offers Indi-Rock, and Kuumbwa Jazz.